As I neared the school, the aroma of freshly cut grass seeped through the car window. My dad halted to a stop and as I hopped out of the car, I instantly noticed the large football field and roaring stands. It was just a normal, regular day. A day like any other that could change a distant other. As I rounded the entrance, I saw another boy (about my age) carrying a full size violin. I took note of the tension on his face. Wondering if he had gotten into all-county and similar thoughts most likely railing through his head, edging at his mind. I continued on my way into the school to be greeted by a mildly welcoming room of friends, old teachers, and peers. As I unpacked my violin my hands trembled with the thought of what was to come. But I knew this year was different in many ways. For starters, it seemed like a competition now more than ever. I worried about how much I had riding on this. It was a nerve racking thought. I dusted off the instrument noticing things unseen to the naked eye before. Like the sticky spot right behind the front, on the top right shoulder of the violin. Or the rosin goop at the bottom of my bow, closest to the frog. I tightened my bow and slowly attached the 4/4 chin rest to my full size violin. Walking over to the registration desk, I saw my old elementary school orchestra teacher. She reminded me of the first time I had gotten into all-county. I couldn’t believe my luck, I thought, as she told me I would be going on the big yellow school bus all the way to a new county to play violin with some of the best players in our county. Although, in the back of my mind I knew it wasn’t luck. 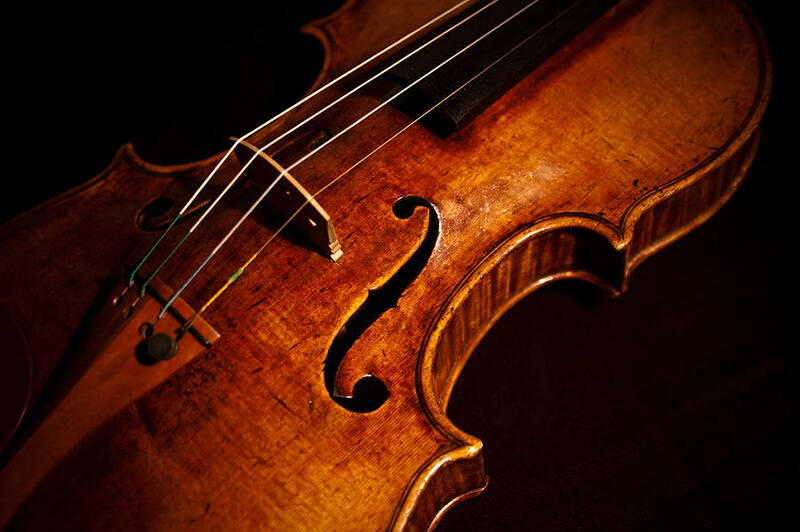 It was my skills of playing that allowed me to achieve and grow as both a person and a violin player. I thought back to the day when we were allowed to choose an instrument we wanted to pursue throughout our lives. I wanted to play a band instrument because I thought it was cool! I didn’t have the lungs for it, however. I guess you could say it was fate, or just my terrible ability to play the trumpet, but I ended up choosing violin. At first, I hated it and felt like I was being forced to play, but my mom told me to keep going and to never give it up. So, I pursued it and now, it’s more than just my hobby. Now, looking back, that felt like just a distant memory, nothing eternal. Breaking my thoughts like a wave casting a ripple effect, my dad said “C’mon Michelle. We’re going to be late if we don’t get a move on.” I followed him out the door to the audition rooms, leaving behind the sound of chatter and worry as the door closed shut. “What’s the room?” my dad wondered. “It’s S205” I answered. Hurriedly, we fast walked to the room running past anxious kids and tedious faced judges, seeing old friends, people I recognized, and the sounds of music blasting throughout the school. Music everywhere. Once we found the room, we looked for my time. “10:45- Michelle Zinger” my dad said as he read down the list. “Yep, this is it”, I replied. I slowly scanned my judge, looking her up and down. It seemed like she hadn’t a care in the world. I pondered whether she actually enjoyed the job of being a judge. I always wondered why people became judges if they didn’t want to. Why wouldn’t you do something that you loved? I put down my case and dropped my blue, J.Crew sweater along with my drawstring bag on the floor. Handing my dad my empty case filled with my empty hopes, I mentally prepared myself for the audition. While doing this, I started to realize that everything would be okay. It didn’t matter what the score was as long as I did my best. “Ready?” the judge asked, coming out of the room. “Yes” I answered, and maybe, for the first time, I actually meant it. Michelle Zinger is currently in ninth grade at Mamaroneck High School. English is one of her favorite subjects because of the freedom it allows to express your deepest feelings. She feels that writing is not only a passion, but also something so priceless in our society. Michelle has been playing violin since the third grade, and won the poetry live competition at her school along with some of her other peers. She loves to spend time with her dog, take pictures, and explore.